St. Sarkis Armenian Apostolic Church was established on May 24, 1942 on Waterman Street in Detroit, MI, in the name of the Saint Sarkis. The current location in Dearborn, MI was dedicated on October 14, 1962 and since then it bestows spiritual and national needs of the Armenians in Eastern Michigan, and is one of the Churches of the Prelacy of the Armenian Apostolic Church of America under jurisdiction of the Holy See of Cilicia. According to historical records and old-timers, the history of Armenians in Detroit is between 100-105 years old. They attest to the fact that the first Armenian to establish residence in the city was a Marzvantsi girl named Esther Nvart, who came here with a missionary to study medicine. Upon receiving an M.D. degree, she began the practice of medicine, married a local resident, and settled in Detroit. This is the scanty information gathered about the first Armenian in Detroit. The older generations attest that about 1906 the Armenians in Detroit numbered approximately 45, only two of whom were married. One was a Marzvantsi named Krikor Chemberian. Among these first-comers was Der Garabedian, a pharmacist, Krikor Goshgagarian, who was able to speak English, and Mesrob Kurkjian, a real estate agent. Witnesses also mention a priest, name unknown, who came from Providence, Rhode Island. He lived here for a while and talked about acquiring a church for the Armenians. He gathered everybody in the home of Khoungianos Keteyian and convinced them that the Armenians could not survive without an Armenian Church. He even appointed a Board of Trustees -- Khoungianos Keteyian, Toros Tavitian, Kaloust Sogoian, Khachig Der Manuelian, and others. They were unable to fulfill their mission, so the priest returned to Providence. By 1915, the ranks of the Armenian Community had swelled to 3000 members. Detroit was a thriving industrial city, and when Henry Ford announced his $5.00-a-day wage policy, there was an influx of Armenians from all parts of the United States. They came with the sole intention of making money quickly and returning to their native land. Within a short time, Detroit became one of the largest Armenian Communities with an enthusiastic and dynamic Armenian life. The Armenian Community in Detroit was a model community. It comprised of Armenians from Turkey, Iran, the Caucasus, and Russia. The Turkish Armenians outnumbered the others. There were Yozghatzis, Gessaratzis, Everegtzis, Fenecetzis, Gurentzis, Sepasdatzis, Shabin Karah- isartzis, Kharpertzis, Kghetzis, Yerzenghatzis, Darontzis, Vasbouragantzis, and Govgastzis, etc. Although Armenians migrated to the United States with the sole purpose of making money and returning to their homeland, destiny decreed otherwise. The repeated Turkish massacres, especially that of April 24, 1915, destroyed all hopes of returning to their homeland and they were forced to remain in the United States. Consequently, the Armenians began establishing a permanent community in a new land. Up to the end of World War II, the Armenians of Detroit were congregated in the areas of Delray, Highland Park, Clark Park, and Allen Park. Shortly thereafter, they began to disperse to the suburbs. As a result, the Armenian Community of Detroit was no longer considered close-knit. The community, numbering approximately 25,000, conquered the problems and difficulties that usually confront all immigrants. It progressively improved and prospered growing into a forward-looking and aggressive community, economically stable. Almost all the Armenian families are homeowners. Many of them also own private enterprises. Furthermore, many Armenians have reached high positions in all fields of endeavor. The community has many doctors, lawyers, architects, scientists, pharmacists, professors, school principals, and teachers. There are also industrialists and lawmakers. In conjunction with economic stability and progress, the Armenian community's national life prospered and moved forward. The Community established two Apostolic Churches, St. Sarkis and St. John, which adequately served congregations almost equal in number. The Armenian Catholics and Protestants also established churches in Detroit. In the early sixties, the community supporting the St. Sarkis Church had three Armenian schools -- Aghpalian School at the Armenian Community Center, Levon Shant School at the Armenian Civic Center, and the Oshagan School in the Allen Park region. These schools were administered and maintained by the Mid-Council of the Armenian Relief Society of Detroit. A total of 150 children attend those schools, and were taught ably by Mrs. Shooshanig Papakhian and Miss Marv Manoogian. he countless problems, the deprivations, and the time and effort expended in the organization of this community with its many facets are incalculable. In time of need, be it local or national, be it moral or financial, the Armenian Community of Detroit was and is second to none. The Detroit Community also built the Michigan Home for the Armenian Aged and the Armenian Senior Citizen Towers. In 1922, with Kemal Attaturk's rise to power, Papakhian along with other educators, journalists and intellectuals, were forced to flee the country or be killed - for the Turks had again begun their periodic purges of the country's minorities. Their escape was possible only with the use of passports issued by the Armenian Republic. In Rev. Papakhian's case, it was issued by Dr. Khatanassian. From 1922-1925, his itinerary took him to Bulgaria and Czechoslovakia. He attended Teve University and the University of Prague. In his hours away from the university, he expanded the Athletic Association (Homenetmen) and the Boy Scout movements. He next served as a teacher at Beirut's Holy Cross School for a three-year period. Five years at the Palanjian Jemeran followed. He was one of the founders of said Jemeran, as well as one of its first teachers. Papakhian was next called to serve at the Khameshlie School of Syria and Iraq, where in addition to teaching, he served as principal and ARF Field Worker in the predominantly Kurdish speaking area. Der Souren served his final eight years as an educator and Principal of the Latakia, Syrian National School. The marriage was blessed with three versatile children. Sons, Aspet and Raffi, are attorney and music librarian respectively. Daughter, Salpi, is a teacher. During a massive, regional ARF meeting in Allepo, Syria in the early 1940's, a decision was reached that was relayed to Papakhian by courier. The unwary principal was summoned to Allepo to meet with Tashnatzootiun's leaders. He was advised the organization had chosen him as their top prospect to enter the Armenian priesthood to help ameliorate the dangerously dwindled membership of the Holy Ecclesiastical Order in Lebanon. He was also informed it was not mandatory for him to accept, for he was then an ARF member. He was also told the people wanted him to become a priest because of his many natural capabilities. From the standpoint of educational credentials and personal temperament, the people felt he was ideally suited to make the transition from layman to cleric. The final concession he was granted was his right of not having to absent himself from his home to observe the 40 days of monastic solitude which is part of the Armenian Priesthood's disciplines. He laughed good-naturedly, however, when he admitted the church won out in the final analysis, because they convinced his wife that she should leave their home with son Aspet to visit her mother for six weeks in Musa Dagh. During her absence, Der Souren, did, in fact, experience the full rigors of prayer, study, fasting, reflection, and the very solitude he had expected to avoid. Thus the church, and Der Souren, had both kept their part of the earlier agreement. Based on the splendid academic record Papakhian achieved as an earlier university student, he was able to waive certain of the required philosophy, psychology and sociology courses which go to make up part of the theologian's normal course of study. Der Souren was ordained a priest at the St. Asdvadzashountz Church in Latakia, Syria in 1941. Archbishop Khat, assisted by Bishop Zareh Palanjian, who was later to become Catholicos, performed the ordination. The new priest served his first ministry years in Latakia. For Der Souren, it was simply another incident, which since early childhood, had begun to mold his life's character - a character of devotion to the Armenian people. Der Souren's early years as a disciplined Armenian Nationalist, his scholarly approach to civil and religious questions, and his intense interest in all matters Armenian, inevitably led him to personal friendships with Armenian leaders, who in their own lifetime, had already become legendary. Der Souren answered the call. In 1946 he took over as St. Sarkis' new spiritual leader, succeeding the late, Der Bedros Mempreian. The new priest served the people faithfully for 27 years, always "going out of his way" to be of assistance. When plans were discussed to build the new St. Sarkis Church, Der Souren was at once in the thick of things, helping with the planning, offering helpful suggestions and constantly offering encouraging words to the Building Committee. Rev. Papakhian admitted that mountain climbing, among the great peaks of Armenia, were among his fondest memories. In later years he authored a book, collecting together the Myths and Legends of the Armenian mountains. He also wrote several short stories and poems which have yet to be published. As a journalist, his articles appeared in Armenian publications worldwide. In 1962 (Detroit St. Sarkis Church Consecration date), Rev. Papakhian was elevated to the rank of Arch Priest by the late Catholicos, Zareh I, of the Cilician Holy See. In 1964, Der Souren was conferred the privilege of wearing the flowered pillion (robe) by Catholicos Khoren I. Retirement for Rev. Papakhian came in 1974, but ill health plagued him until his passing, in August 1976. Doctor Shrikian was born January 28, 1929 in Yoghoun Oluk, Mousa Dagh. He is the son of the Very Rev. Movses and Yeretzgeen Nectar Shrikian of California. His brother, Rev. Nareg, also lives in California. A younger brother, Kourken, was a social researcher in Granite City, Illinois. On October 17, 1954, Der Gorun married Arpine Makhoulian, daughter of the late Movses and Azniv Makhoulian. Their marriage was blessed with three children, Ani, Dirouhie and Movses, all of whom received university degrees. After completing his primary education in Anjar, Lebanon, he next attended the Theological Seminary of Antelias, where he studied from 1943-1945. Early in his youth he was involved in Armenia's national affairs as a teacher, youth organizer, member of the H.M.E.M. and was the long time Director of the A.Y.F. in Anjar, Lebanon. On November 11, 1956, he was ordained a priest by. Archbishop Khoren Paroyan, and late Catholicos Khoren I of the Cilician See. He continued his theological education at the Seminary from 1956-1958. During his residency at the Seminary, he also assumed teaching responsibilities. In 1959, on two different occasions he visited the newly formed Armenian community in Kuwait and established a church congregation there which later became a viable Armenian community in the Middle East. In October, 1959, he arrived in the United States and assumed the pastorship of St. Gregory the Illuminator Church, in Granite City, Illinois. He served this parish faithfully from 1959-1965. While in Granite City, he pursued his college education at Southern Illinois University from 1960-1964. In 1965, he was awarded the right to wear a pectoral cross (lanchakhatch) for his efficient and dedicated pastoral services. In 1964, he was admitted to the Concordia Seminary of St. Louis, Missouri, in the Master of Arts, Religious Program. He received his M.A.R. degree in 1967. His extensive research project was "The Biblical Influence on the Formation of the Koran." In 1965, he was transferred to the St. Sarkis Church in Dearborn, Michigan. Three years later he was admitted to a doctoral program at Concordia Seminary. In 1974 he received a S.T.M. degree (Masters in Sacred Theology) from the Theological School of Chicago. His thesis was, "The Orders of Baptism. Marriage and Funeral in the Armenian Apostolic Church." Concordia Seminary, in Exile (now known as Christ Seminary) awarded him his doctoral degree (Th.D) in 1977. His thesis was entitled, "The Armenians Under the Ottoman Empire and the American Mission's Influence on their Intellectual and Social Renaissance." In 1979, he received the Tight to wear the floral vestment (dzaphegepilon) in appreciation for his many years of devotion and dedication to his Church. In 1980 he received the title of Archpriesthood from Catholicos Karekin II in appreciation of his achievements and services. 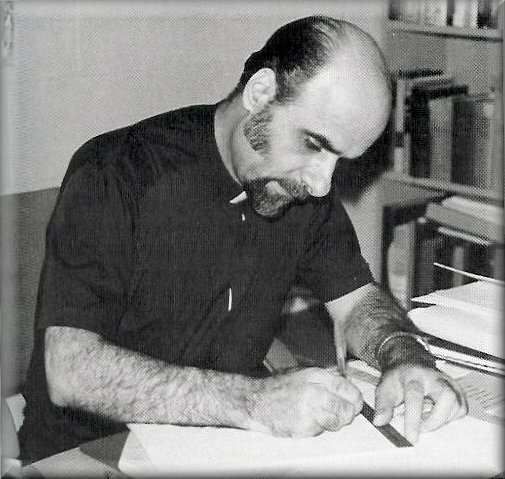 During his tenure as pastor of the St. Sarkis Church, he enhanced the religious educational program of the Sunday School. He also directed and taught at the A.R.S. Zavarian Saturday Armenian Language School for seven years. He has conducted adult religious education classes, rendered educational lectures to community groups and lectured at several Seminars at the Prelacy level. Rev. Dr. Gorun Shrikian passed on February 11, 2014. Very Reverend Navasart M. Mardoyan (given name Moushegh) was born in Beirut, Lebanon on August 15, 1966. He completed his elementary education at Vahan Tekeyan Armenian School and in 1979 entered the Theological Seminary of the Catholicosate of Cilicia. He was ordained a Deacon in 1984, and upon graduation from the seminary he was ordained celibate priest in 1987 by His Holiness Catholicos Karekin II of Blessed memory. In 1990 he was assigned the pastorate of the Armenian communities in Eastern Macedonia and Thrace where he served for five years. While in Greece he completed his thesis on “the History of St. Gregory the Illuminator’s Hand and the Achabahian Family,” and was ordained Vatrabed in 1994. In 1995 he was appointed assistant to the Dean of the Theological Seminary in Antelias and taught a number of courses there as well. At the same time, he continued his higher education at the Near East School of Theology, taking courses in Old Testament, Biblical Greek and Biblical Hebrew. In November 1997, he was appointed Pastor of St. Sarkis Armenian Apostolic Church and assumed full pastorship in April 1998. After serving the Dearborn St. Sarkis parish for two years, he was transferred to New York in July 2000. Fr. Stepanian, baptised Nazar, was born on January 3, 1956 in Aleppo, Syria. He is the son of late Rev. Fr. Daron and Yeretzgin Knarig Stepanian. He has a sister, Maral who with her husband and sons live in New Jersey. In 1960, the family migrated to Lebanon and settled in Nor Adana, a town within Bourj Hammoud, with mostly Armenian population. Receiving his elementary education at Apkarian National School, under the shadow of St. Asdouadzadzin Armenian Apostolic Church, in 1967 he migrates with the family to Athens, Greece. He returned to Lebanon the following year. He continued his secondary education at Levon and Sophia Hagopian College, graduating with honors in 1975. For a year he attended Souren KhanAmirian College. Due to his father’s illness and the civil war in Lebanon, he was forced to seek means to provide the needs of the family. During those years he attended the Sunday School Program of the Prelacy, and after graduating he was assigned, teacher at St. Asdouadzadzin Sunday School. In 1977 he was invited to Peter Torossian Evangelical School, Nor Amanos, as a Math and Science teacher. In 1978 we find him teaching Math, Science and Armenian at Aksor Kasardjian Armenian National School Nor Sis, Lebanon, where he remained till 1984. During this time, he improved his hobby of photography into a profession becoming one of the leading video photographers. Being a vibrant and active person, he was involved in Sunday School, Armenian National Teachers Association, Zavarian Youth Organization, Apkarian School Alumni, Levon And Sophia Hagopian College Alumni, St. Asdouadzadzin Church Choir and St. Nishan Cathedral Choir, with executive positions roles. He bought his first personal computer in 1980 and that became an obsession to learn and master some of the languages of computing. During 1978-79 with an invitation from His Holiness Karekin II Catholicos of the Great House of Cilicia (later Catholicos of All Armenians) of blessed memory, he became the secretary of both Catholicoi Khoren I and Karekin II, of blessed memories. During this period he attends the lecture and studies on “Armenian Church Traditions and Culture”. Seeing that there wasn’t an end in sight for the Lebanese Civil war and seeking a safe haven for his family on November 1986 he migrated to America settling in New Jersey. As a dedicated young Armenian, he involved himself with St. Vartanantz Armenian Apostolic Church, NJ, first as a choir member then an Altar Server and Deacon. The server in him, which is translated through his teachings and services to the Armenian Church and Community pushed him to fulfill his dream and calling in 1992 when he was ordained a deacon and was submitted to the Eastern Prelacy’s Preisthood Preparation classes. In October 2 1994, at St. Gregory Armenian Apostolic Church, Indian Orchard, MA, he was ordained a priest and named Daron after his father Rev. Fr. Daron Stepanian of blessed memory by His Eminance Archbishop Mesrob Ashjian, Prelate of the Armenian Apostolic Church of America Eastern United States and Canada, having Very Rev. Fr. Nareg Alemezian (now Bishop) as sponsor. During the years of his tenor ship at St. Gregory a new era of activities was started, a Memorial Garden was dedicated, two acolytes and 2 deacons were ordained, and a painting was consecrated, the Name Day of the Church was established, and through the Internet that small parish was introduced to the world. In 1998, he was awarded the right to wear a Pectoral Cross (Lanchakhatch) by His Holliness Aram I catholicos of the Holy See of Cilicia. In 2000, by a decision of His Eminance Archbishop Oshagan Choloyan, Prelate, The Executive Council of the Eastern Prelacy and the Board of Trustees of St. Sarkis Armenian Apostolic Church of Dearborn, MI, he was invited to serve as the new pastor. In May 2002 he was accepted at Graduate Theological Foundation in Donaldson, IN as a Master in Religious Education program scholar and graduated May 2006. He married Sossi Soukiasian in 1979 and is blessed with two sons, Daron and Stepan, both studying at University of Michigan/Dearborn.